We report the in-phase response in the AC magnetic susceptibility measurement of In-doped Bi-2212 under varying applied field. For all the samples, the intragrain response showed that the samples remain superconducting, independent of the applied field. The intergranular responses however showed a delay in transition for increasing Indium content. The weakening of the grain coupling is attributed to the increasing amount of impurities in the due to unsuccessful doping that act as weak links. For sample x = 1, the grains become decoupled but nonetheless exhibits superconductivity with Bi-2212 phase. F. I. de Vera, J. Amado-Dasallas, J. Tacneng, C. Arcilla, and R. Sarmago. 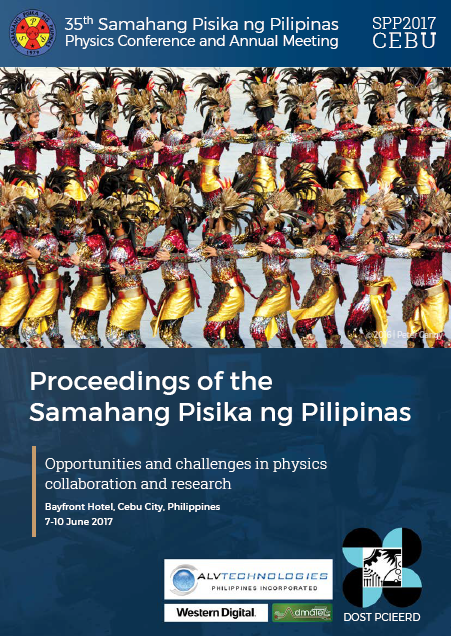 In-phase response in the AC magnetic susceptibility of In-doped Bi-2212 under varying applied AC field, Proceedings of the Samahang Pisika ng Pilipinas 35, SPP-2017-PA-02 (2017). URL: https://paperview.spp-online.org/proceedings/article/view/208.